ORRISSA believes in the principle of village sovereignty of sustenance which enables communities to decide for themselves what will be grown and consumed. 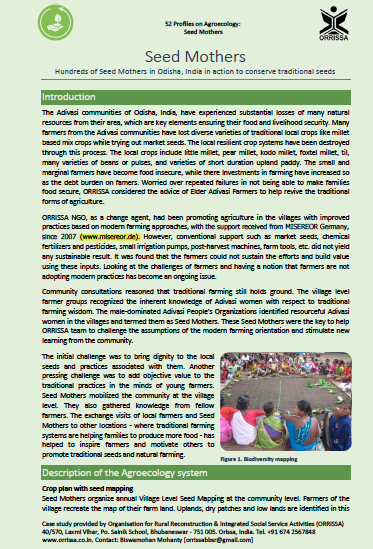 ORRISSA therefore works at several different levels to combat hunger, access & control of local resources: with campaigns on sustaining indigenous farming methods at the local level, and by furthering women's rights. We also back up farmers' groups to enable them to take control of their resources, create a critical mass for protecting their interests in governance processes. 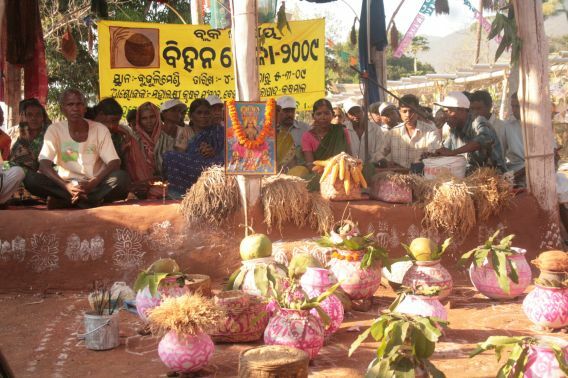 The group operates in some of the interior pockets of the state of Orissa. 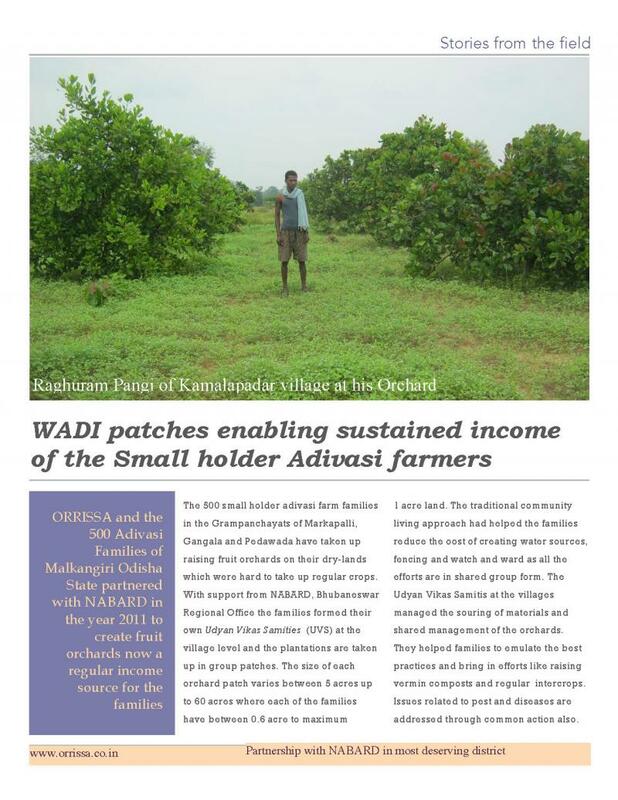 Over these years, ORRISSA team have been successful in issue based intervention on tribal rights over Health, Land, Water and Forest through People's Organizations. 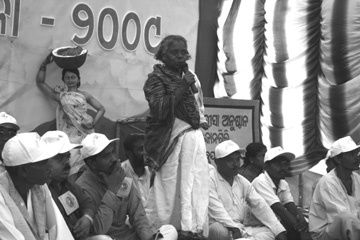 Mr. Yogendra Parikh, the great grand-son-in law of Mahatma Grandhi and veteran Gandhian Worker released the first LEISA-Oriya issue in the presence of tribal famers at Tikabali on 5th of October 2010. The farmer organizations seek solidarity groups who are protecting the local agriculture systems and the indigenous seed traits to share their experience and facilitate farmer to farmer exchange of seed and knowledge associated with them. 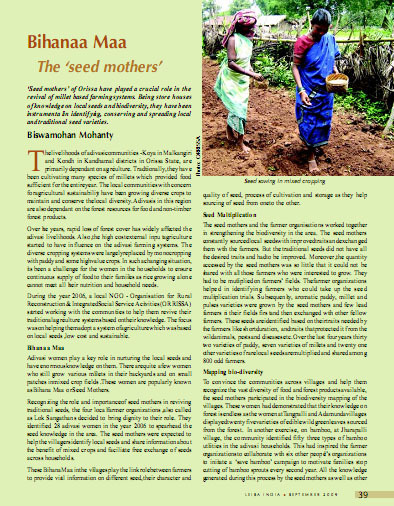 Farmers would appreciate visitors with samples of seed and materials on farmer rights campaigns. Volunteers are also sought to help the farmer organizations drafting their success stories, mapping their natural resources, preparing campaign materials. 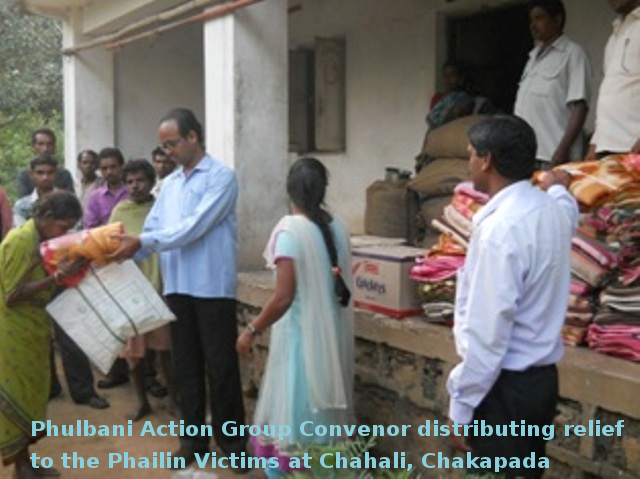 The first Cyclone in the Living Memory of Malkangiri on 12th of October 2014. The partner communities of ORRISSA are affected by this recent disaster. 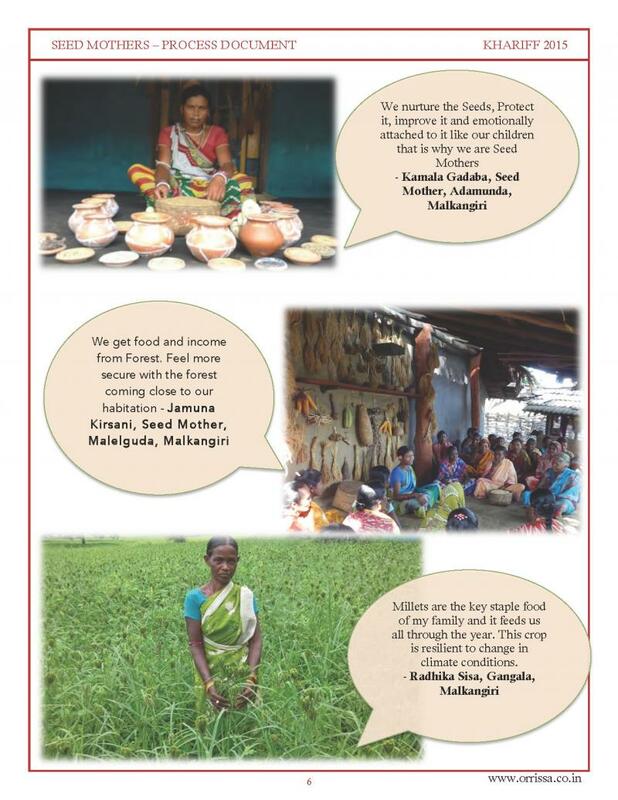 The adivasi dominated Malkangiri (the worst hit Visakhapatnam district in Andhra Pradesh is bordering Malkangiri) was the landfall route of the Devastating HudHud Cyclone before it entered Chhatisgarh. 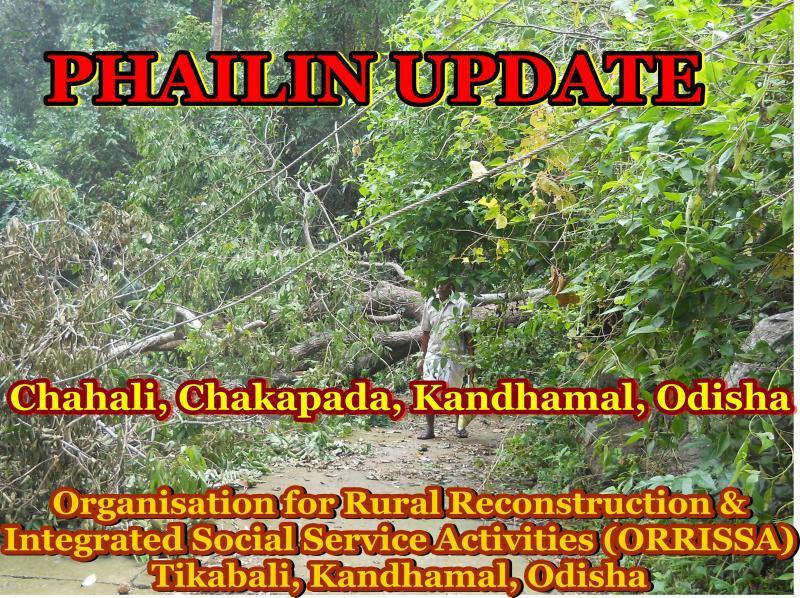 13th October 1 am till 6 am the mighty Phailin crossed through the Chakapada area of Kandhamal block (boardering Ganjam district) at a wind speed of 150 km. 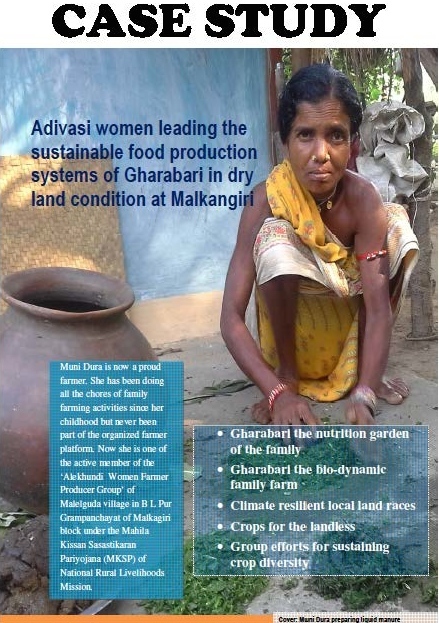 The Adivasi communities here witnessed the nightmares for the first time in their life.